Has your life become a misery because of a vindictive neighbour? Do you want to know how to sell a nightmare neighbour story to the press? SellUsYourStory.com provide a free service to help people share their stories with the national press. If you’d like to sell a nightmare neighbour story to the press to expose your story or help others in a similar situation, get in touch today. 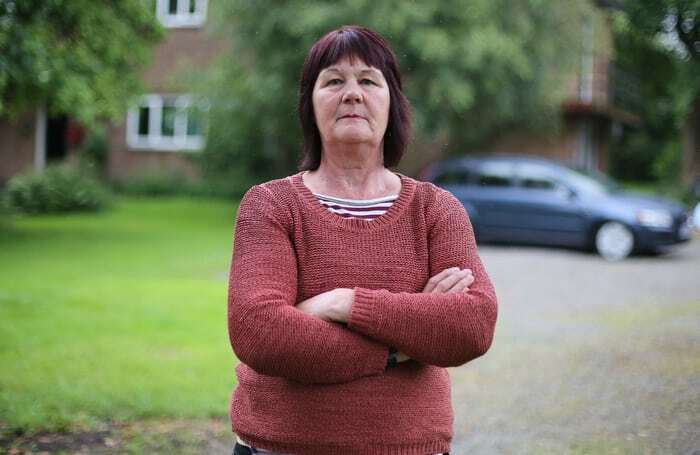 This week Sue and Keith Brookes told us about the months of bizarre harassment they received from neighbour Kathleen Neal after moving into their dream home. If you have a similar story, or any other story you’d like to place in a magazine or newspaper, get in touch today using our Story Valuation page. We’ll let you know how much your story is worth. There is no obligation and we won’t use any of your information until you tell us to go ahead, and you’ll stay in full control of your story. As we pulled out of my mum’s drive and onto the road, I saw the ‘FOR SALE’ sign in the garden of the house next door. ‘Look Keith, the Boathouse is for sale’ I said to my husband. 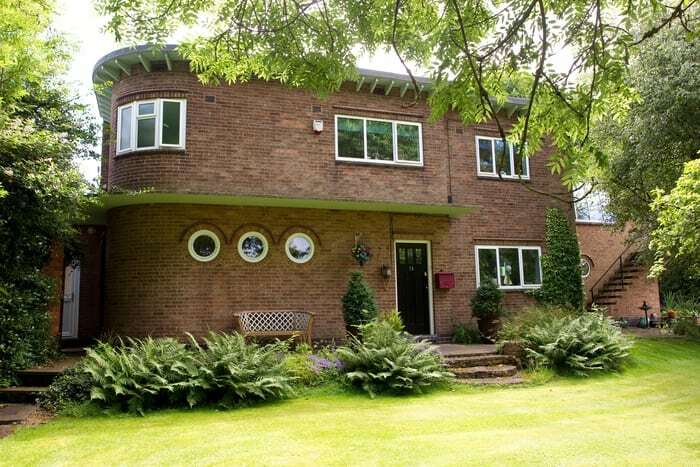 Mum had lived in the council house next door all her life, and I’d grown up in the shadow of the beautiful Art Deco house with the flat roof. It was the envy of the village. For as long as I can remember I’d always wanted to live there, but it was so beautiful it was bound to be out of our price range. Keith was right. There was a lot of work that needed doing to it – the windows, the plumbing, the overgrown garden, the leaky roof… The list went on and on. But all that meant it was in our price range, and as we were thinking of moving closer to mum, and didn’t mind a bit of DIY, we put an offer in. ‘We’ve got to have that house,’ I said to Keith after I’d spoken to the estate agent. Surely enough, our offer was accepted and we moved in in 2002. 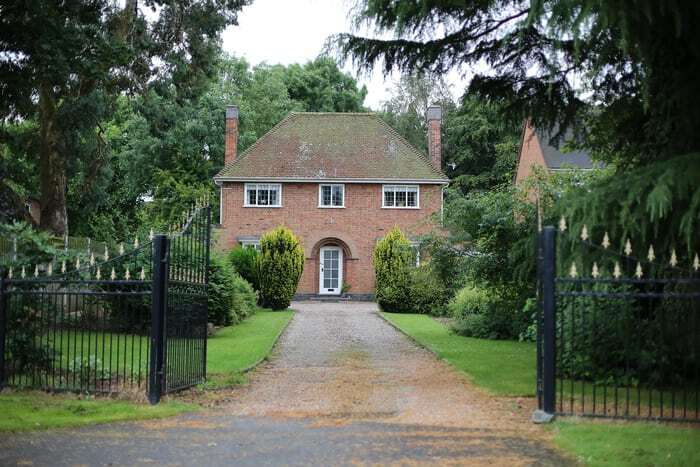 The home of Sue and Keith Brookes in Castle Donington. I was running my own care company at the time and Keith had just retired so we were looking forward to starting projects. With an acre of land and the house plum in the middle of the grounds there was lots to be done, and we wasted no time getting started. We introduced ourselves to the neighbours next door, Mr and Mrs Neal, who’d lived there ever since I was a child. They seemed nice and quiet and were interested in what we had planned. There were two garages attached to the main house, but one of them was so dilapidated the door was rotting right off its hinges. When we told the Neals we planned on turning it into an additional living space, with a big window, they looked at me as if I’d said I was going to stage a rock concert in the garden. ‘What do you want to do that for?’ she said. And true to their word, when we submitted the application for building regulations, the Neals objected. I wrote Mrs Neal a nice letter inviting them round for a cup of tea so we could discuss it. A week later, the letter, torn to pieces, came tumbling through my letterbox. ‘I just don’t understand it, Keith,’ I said, picking up the pieces. He had a point. We hadn’t done anything. We’d only been there a few months and had pretty much kept to ourselves. That night as we curled up on the sofa, thankful the council had over-ruled their objection, the phone rang. I heard Keith say ‘hello’ over and over again, before hanging up and coming back in the living room. ‘No one there,’ he said. ‘Silence.’ Odd, I thought. The next day when I arrived home from work, I could hear the phone ringing as I turned the key in the front door. I dumped my bag and raced to the phone picking it up just in time. ‘Hello?’ I said. But there was no answer again. ‘Who is this?’ I said getting panicky. ‘Is there someone there?’ But there was still nothing. Then faintly, in the background, I heard the sound of a plane engine. When I hung up, I could still hear it, and my hair stood up on end. ‘My God, Keith. They must be close by. What if they’re watching us?’ I said. The phone calls carried on for nearly a year. We always suspected it was the Neals, but we had no way of proving it. They always seemed to call when we were just getting home, or when Keith was under the sink or up a ladder, making us rush to the phone. Eventually, Keith had to get BT to put a block on the number. When that didn’t work, and the calls kept coming, we had to change our number, which was a pain for my customers. 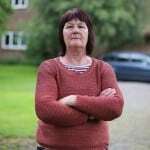 Sue Brookes of Castle Donington, the victim of a 14 year long campaign of terror by her elderly neighbour. After we’d properly settled in, we decided to build some decking in the back garden so we’d have somewhere to have brunch on summer days with the grandkids. Keith was so proud of it and we bought a lovely range of pot plants to decorate it. While we were decided where to put them, Mrs Neal appeared at the fence between our two houses and called me over. ‘You go out a lot,’ she said. ‘That’s all right. But take your dog with you when you go.’ I stood there dumbfounded. Our golden retriever, soft as grease. He never barked or caused a fuss, and he never went to the loo anywhere but his own garden, which we were methodical about cleaning up. ‘Are you calling me a liar?’ she said. I didn’t want to upset her, but I couldn’t think of anything else to say. She wasn’t right. We took our dog everywhere. ‘Well, I guess I am,’ I said. Mrs Neal’s face dropped. She huffed, turned on her heels and stomped back to her house. I gave Keith a look when I got back to the deck, as if to say, ‘not 100% that one’ and tried to forget about it. That weekend we installed a CCTV camera to see if we could capture some of the wildlife that came into the garden. I was hoping to catch a fox or two sniffing around the bins. The home of evil neighbour Kathleen Neal in Castle Donington. But when I played the video back, it turned out I’d captured a far craftier creature. Mrs Neal had climbed into the garden and was moving my pots about! 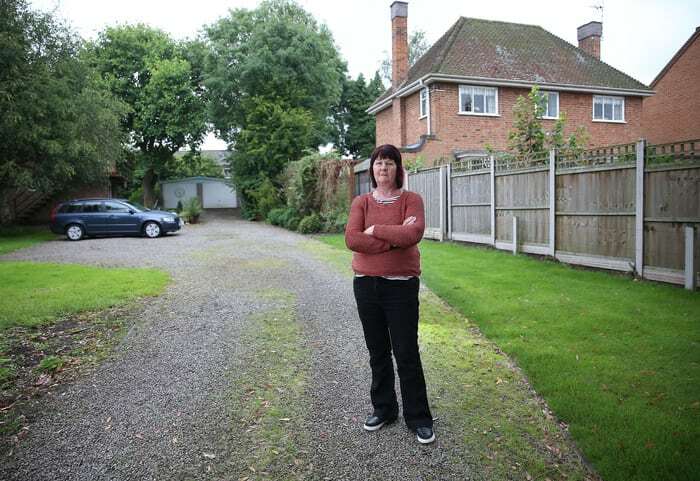 But the oddest thing about the whole incident was when she turned to the house and started pulling faces. It was so comical I couldn’t help but laugh. But I was also worried that she might injure herself climbing into our garden. I sent her a letter advising her to be careful when she next climbed the 5ft high fence, but the letter, like the other one, was torn up and posted back to me. Then the bonfires started. After we’d been at the Boathouse for a couple of years we started noticing that the Neals loved having a bonfire. Each time we went out in to the garden for a glass of wine or to hang out some washing, the smoke from their fire would come billowing over the fence. It would only happen when we went outside. And it wasn’t that she was burning anything in particular. One day I saw her from my bedroom window pouring paraffin on a big pile of sodden grass to fan the flames, and then wafting it in the direction of our house with a big piece of card. She was laughing maniacally, like a crazy woman. Keith got in touch with the environmental department at the council. ‘It’s not a crime to have a bonfire,’ they said. ‘But surely it’s anti-social to have one every time, and only when, we’re in the garden!’ Keith said. ‘They’re ruining our retirement!’ We made a record of each time she did it, going on for years. 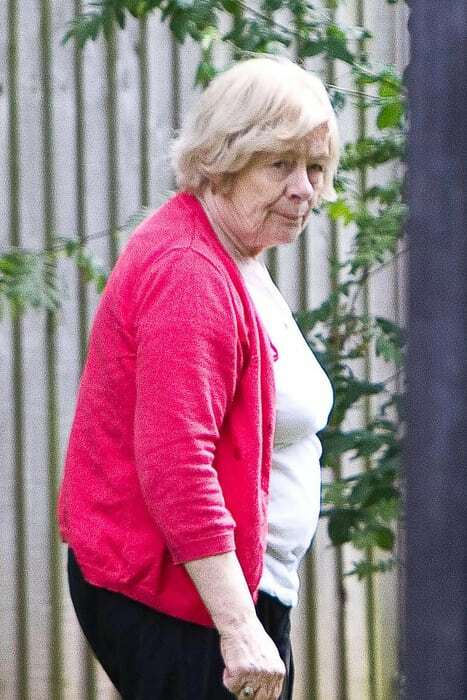 Nightmare neighbour Kathleen Neal started her 12-year campaign of terror against retired Sue, 65, and Keith Brookes, 68, who she told to “get back to their council house”. We also kept a record of every time she vandalised our plants by pouring weed killer on the lovely arrangements I made. And every time she threw bricks at the house or climbed into the garden with sheers to cut branches off our trees. We kept a record of every time she watched me from her bedroom window, or came out on the road to follow me next door to my mum’s house. ‘Let me walk you home,’ my 90-year-old mother said. ‘I’ll be fine,’ I said. ‘She’s a 70-year-old woman. What the worst she can do?’ But I shuddered at the thought of her appearing on the road in the dark, which she often did. I had to get Keith to walk me home to our house on Park lane, Castle Donington, Derbys. On one occasion, she even followed me in the car as I went to aqua-aerobics with my friend Val Morgan, 57. 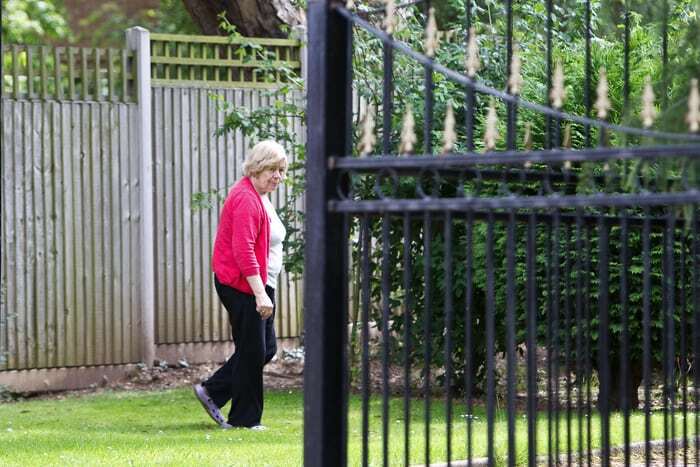 ‘Maybe she’s just going the same way as us,’ Val said. But when I turned into a random dead end and Mrs Neal’s car followed me, I knew for certain she was following us. Then the phone calls started again. We’d put in a request for a protection order for a tree in our front garden, fearful Mrs Neal would chop it down as she had threatened to do in the past. But the council had made our number public online. That night the anonymous calls started coming thick and fast. We begged the local bobby to help us. We knew it was them but we just couldn’t prove it. ‘We’ll trace the number through the phone company,’ he said, reassuring us that we weren’t alone. Months went by of almost daily silent calls, when the local bobby popped in for a cup of tea. ‘Caught her bang to rights,’ he said. Mrs Neal had tried to scuttle out of the room but the officers confiscated the phone. We couldn’t believe it. Finally we had enough evidence against her for it to go to court. We submitted all the records we’d meticulously made, and along with the statement from the police, the judge at Derby Crown Court gave the Neals a five-year injunction banning them from harassing us or anyone else. It’s such a relief. The injunction feels like a massive insurance policy. We love our house and want to enjoy our lives here but so far our retirement has been spoilt. We’ve been persecuted for over a decade and have been made to feel like prisoners in our own home. We just hope the injunction will make her stop so we can move on with our lives. If you would like to sell a nightmare neighbour story, or any other story you’d like to place in a magazine or newspaper, get in touch today using our Story Valuation page (or contact us in other ways here). One of our trained writers will get back to you to let you know how much your story is worth. In general, if you would like sell a nightmare neighbour story, there will need to be a conviction or court order against your nightmare neighbour so we are legally allowed to name and shame them. There is no obligation and we won’t use any of your information until you tell us to go ahead, everything you send us is confidential until you tell us otherwise. You’ll stay in full control of your story – your story told your way. For more information about the story selling process, see the Sell My Story page.